I had a rather “delicate” stomach when I was growing up. And every time I was going through one of the bouts of stomach upsets after eating outside food and/or drink, my mother used to feed me plain khichdi (a mush of rice and daal cooked together) or daliya (broken wheat cereal, which she made sweet with milk). So much so that I started to associate these two dishes with being sick. Then one day for breakfast, at my best friends place in Ludhiana, I had a dish which Aunty called daliya, but it was really different from the sweet milky dish I was used to having. This was savory, full of vegetables and rather dry in form. My eyes were opened and I started to have a new respect for wheat as a grain. 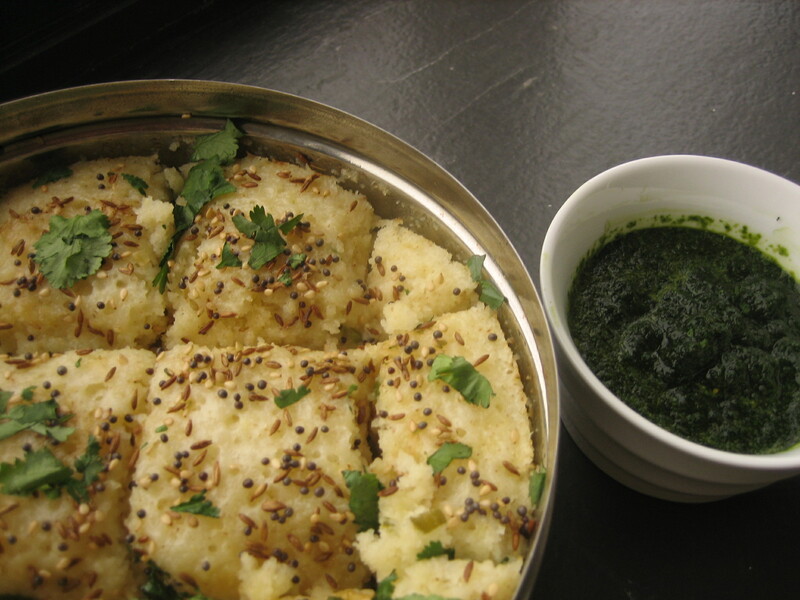 I now have vegetable daliya as breakfast, but also as a quick, week night meal. 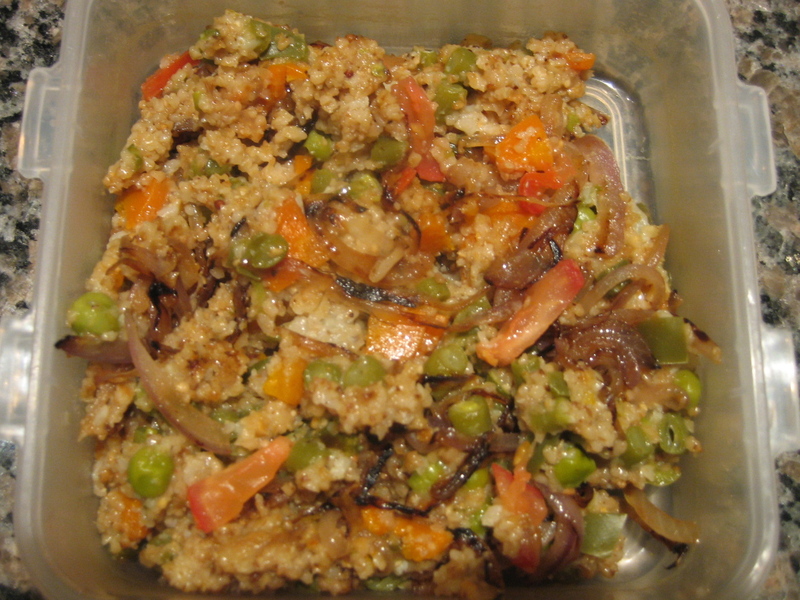 1 cup broken wheat (daliya) – this is different from bulgur in the sense that it is not pre-cooked. It is available in Indian grocery stores. For vegetables, I use whatever I have at hand. Pretty much anything that softens in one whistle in the pressure cooker is fair game. This time I used the following. Grate ginger and mince green chillies. Dry roast the daliya till it starts to give off the characteristic wheat aroma. Make sure that you stir it intermittently as otherwise the side touching the pan becomes really dark and starts to taste a little burnt. You want the whole thing to evenly turn a shade or two darker. Meanwhile, in a pressure cooker, heat a little oil. Add the jeera seeds and once they splutter, add grated ginger and minced green chillies. Once those brown a little bit, add the diced vegetables and stir for a few minutes. Add the roasted daliya and water and salt. You can also add black pepper if you so wish though I didn’t as I had put enough green chillies for my taste. Close the pressure cooker and heat till the pressure develops. At this point, reduce the heat to low and cook in pressure for ten minutes. While this is cooking, you could carmelize some thin sliced onions in very little oil. Make sure you don’t stir the onions too much while caramelizing them so that they brown ‘attractively’. I usually like to add onion and tomatoes on top if I am making the daliya for dinner, to add a rich earthy flavor, but not if it is for breakfast, as then I like the lighter version. When you open the pressure cooker, gently fluff the daliya and spread the caramelized onions on top. In the same pan that you caramelized the onions, you may quickly heat some diced tomatoes, not to cook them, but just till they are barely hot and spread them over the daliya as well. If you don’t want to add tomatoes, a squeeze of lemon would be a good addition as well.